Update: Whelan has now apologized for outing Garrett, though he has not retracted his theory. The theory was presented Thursday afternoon by Ed Whelan, a former clerk to USSC Justice Antonin Scalia and currently president of the Ethics and Public Policy Center (EPPC), a conservative think tank. 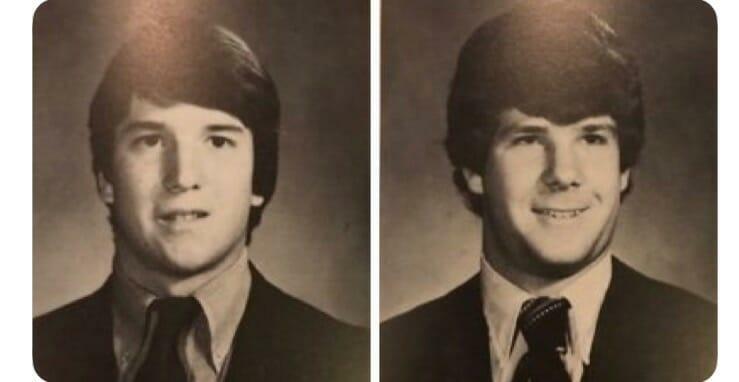 Using entirely circumstantial evidence which could certainly ruin the life of the man at the center of the new theory, Whelan suggests that Kavanaugh's high school doppelgänger, Chris Garrett, may have in fact been responsible for Blasey Ford's recollection of the alleged incident. Earlier this week, Whelan tweeted "By one week from today, I expect that Judge Kavanaugh will have been clearly vindicated on this matter. Specifically, I expect that compelling evidence will show his categorical denial to be truthful. There will be no cloud over him." Update: Ford, who has had trouble remembering specifics about the alleged encounter, dismissed Whelan’s theory in a statement late Thursday according to the Washington Post: "I knew them both, and socialized with" the other classmate, Ford said, adding that she had once visited him in the hospital. "There is zero chance that I would confuse them." In response to Whelan's theory, New York Times columnist Ross Douthat tweeted: "I don't know Brett Kavanaugh, which has made it easier for me than for conservatives closer to the man to believe he might be guilty. I do know Ed Whelan, which makes me assume there's more reason to believe the doppelganger theory than just what he just tweeted. We'll see." I don't know Brett Kavanaugh, which has made it easier for me than for conservatives closer to the man to believe he might be guilty. I do know Ed Whelan, which makes me assume there's more reason to believe the doppelganger theory than just what he just tweeted. We'll see.